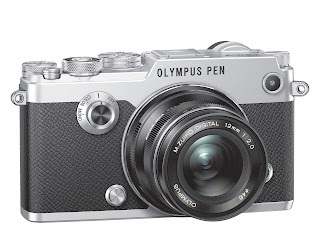 The recently released Olympus PEN-F mirrorless camera has come a long way since its 1960’s namesake - the Pen F - and the beautifully designed 21st century digital version boasts a number of excellent features. One of the most notable of these is its new Creative Dial, so in this article, we take an in-depth look at the dial and explore its various functions. 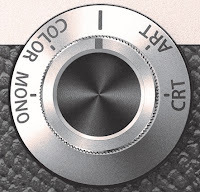 The stylish, large metal Creative Dial on the front of the camera provides quick, easy, and direct no-look access to four of the PEN-F’s advanced onboard filter options. Out of these four, there are two completely new creative features - Monochrome Profile Control and Colour Profile Control - as well as the familiar Colour Creator, and various Art Filters. The EVF on the PEN-F displays a real-time preview of any settings adjustments, including those accessible via the Creative Dial. The new Monochrome Profile Control filter offers gradation-curve, film grain, shading adjustment, and black and white filter effects with three available presets. You can program these presets; MONO1, MONO2, and MONO3, and detailed settings for Highlight & Shadow Control can also be programmed. The film grain effect is available in low, medium, and high options, and Pict. 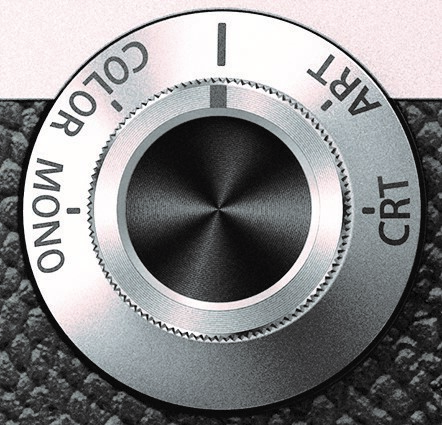 Tone allows you to choose how the camera records the following colour types: sepia, green, blue, and purple. There is a colour filter effect for eight colours (red, orange, yellow, yellow-green, green, cyan, blue, and magenta) with three levels of intensity, as well as a shading effect ranging from -5 to +5. Colour Profile Control lets you set saturation levels for each of the twelve available colours from -5 to +5. It comes with three presets and affects the gradation curve, and can be used to change the saturation over 11 levels. You can hold to change settings for the three presets; COLOR1, COLOR2, and COLOR3, and can adjust the Highlight and Shadow Control setting. Additionally, there is a lever conveniently mounted at the back of the camera which makes it easy to switch between the different modes. The well established Color Creator lets you adjust colours before taking a shot and offers a choice of 30 different colours, with adjustable saturation settings between -4 and +3. The ability to preview how your images will look via the EVF or LCD makes it easy to capture vivid images, without having to get weighed down with time-consuming colour processing on a computer. There are numerous Art Filter variations available on the PEN-F which are listed below, along with the relevant art effects. The Color Ring (for Partial Color) is 18-colour selectable. As you can see, the new Creative Dial offers a wide range of filtering options that are available right at your fingertips, which makes the PEN-F an ideal choice for photographers who want to capture striking, energetic shots with the minimum of fuss. The camera itself is one of the most attractive to have emerged in recent years, and is certain to be a huge hit with those who admire technical prowess as much as outstanding design. We predict that if you’re out shooting on the street, there will be plenty of heads turning your way. Olympus PEN-F and M.ZUIKO DIGITAL ED 14-42mm 1-3.5-5.6 EZ pancake lens kit in black and silver versions. Olympus PEN-F and M.ZUIKO DIGITAL 17mm f/1.8 lens kit in black and silver versions. At Park Cameras, we are hosting a special Olympus PEN-F in-store event at our Burgess Hill store on Friday 29th January & Saturday 30th January 2016 from 10:00am - 4:30pm. You can book a free 1-2-1 session with Olympus here, or otherwise can come along without any prior booking and bring your camera and any of your photos that you would like to receive expert advice on. So, if you want to find out more about the Olympus PEN-F and its impressive set of features, give our expert team of staff a call on 01444 23 70 70 or send them an email at sales@parkcameras.com.